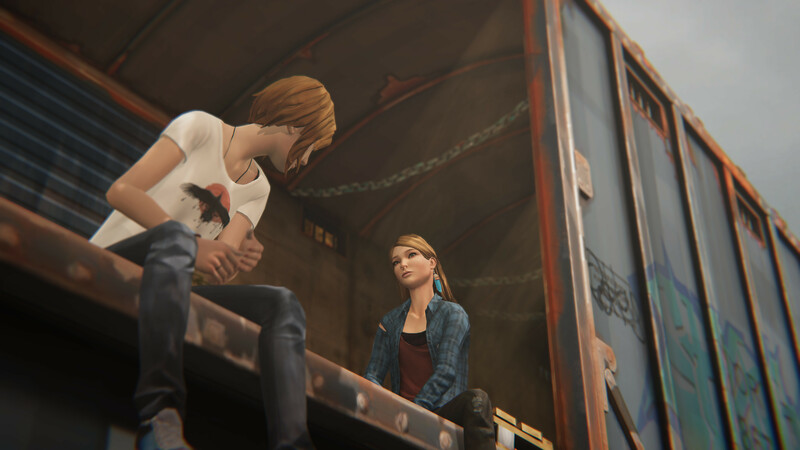 Life is Strange: Before the Storm will continue telling the story of Chloe Price's tumultuous teenage years later this week. Those who have played through the first episode and watched last week's trailer likely have some questions they may be asking themselves. Shacknews is right there with those people, so for today, let's ask some of those burning questions following Episode 1 - Awake. 1. Who is Damon Merrick? Anyone who played through 'Awake' likely heard this name mentioned several times over the course of the story. Chloe even pondered this herself. Whoever Damon Merrick is, though, he's clearly a powerful person and probably somebody Chloe doesn't want to mess with. Merrick's name was thrown around a lot during the opening minutes at the Firewalk concert. His name was etched into the walls and his name was mentioned by the drunken louts that Chloe ran afoul of towards the tail end of the show. The most probable answer is that he's a powerful drug dealer. He's someone who wields heavy influence over Arcadia Bay's drug scene, which would put Frank Bowers somewhere in his jurisdiction. If that's the case, one would expect an eventual confrontation between Merrick and Frank, especially over Chloe running up a drug tab and getting into trouble with his lackeys. 2. How Does Nathan Prescott Rise to Power in Blackwell? It'd be simplistic to say 'money' and move on, but there seems to be more of a story to how Nathan Prescott became one of the most feared figures in Blackwell Academy. In 'Awake,' he's derided as the rich kid who had his father pay his way onto the school's varsity team. He's a far cry from the Vortex Club leader that he is in the original game. So how did he go from getting picked on in 'Awake' to a figure that nobody wanted to cross in the original game? Given Nathan's drug connections, it's reasonable to assume there's some sort of connection to Damon Merrick. It would also explain the recent trailer's conclusion where Chloe gets confronted by Merrick within the walls of Blackwell. There's also a potential connection with Chloe's future father-in-law David Madsen. Recall in the original game that there was implied connection between Nathan and David, so with David set to begin his tenure as Blackwell's security guard in 'Brave New World,' it could mark the beginning of their potential alliance. With Nathan racking up allies and with his father's connections, it shouldn't take long for him to turn the tables on his tormentors and begin his own reign of terror. 'Brave New World' will likely get that ball rolling. 3. In What Other Ways Will Rachel Amber's Downward Spiral Take Shape? Players got to see that life isn't easy when you're a teenage girl perceived to have everything. Rachel's popular, she's active in school, she's smart, and she's beautiful, but when life at home starts to fall apart, it's easy to feel like none of that matters. Chloe witnessed the start of Rachel's self-destruction in 'Awake.' Rachel was starting to ditch school, drink, set fires, and lash out at the world. Those who played the original game know it won't be long before Rachel turns to heavy drug use, so look for her to start her relationship with Frank Bowers soon, if it hasn't started already. If that relationship begins, it's going to eventually tie her to Merrick, then to Nathan, and then put her squarely on David's radar. It's looking more and more like the only thing that can keep her grounded will be her friendship with Chloe. But given how badly Rachel lashed out in the first episode, it's unknown just how receptive she'll be to any of Chloe's peace offerings. Deck Nine made sure to note that Before the Storm isn't the tale of Rachel's disappearance. But it is clearly the story of how she went from a bright, young mind with great potential to a troubled young child at the beginnings of a psychological collapse. 'Brave New World' will only push that narrative forward and Rachel will start to line up more with the mysterious figure on the missing posters from the original game. 4. Is Arcadia Bay Cursed? The first thing to note here is that the idea of a living Arcadia Bay was first explored in great depth by the ladies of Geek Remix. They break down the meaning of the raven, Chloe's dream sequences with William, and other reasons why the town might actually be alive. And while I wouldn't go so far as to say that Arcadia Bay is alive, I do think it's fair to ask whether Arcadia Bay is cursed? 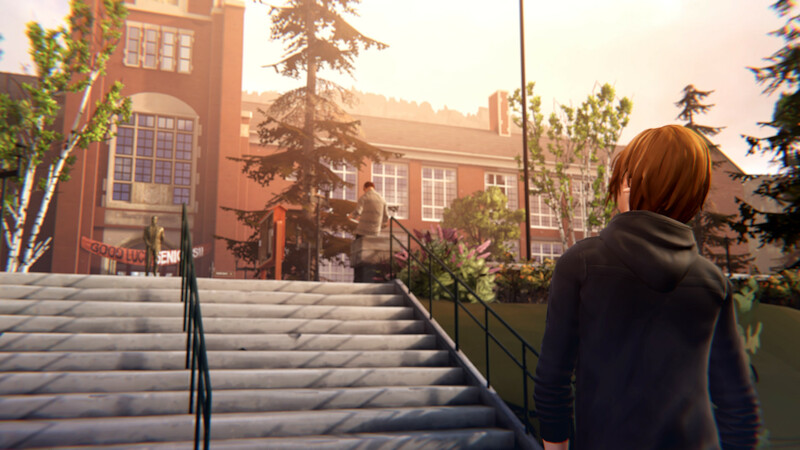 Yes, Dontnod went to painstaking lengths to say that Life is Strange is not a fantasy story. But with an extinction-level tornado hitting the town in the first game that was seemingly connected to Max's powers and Chloe herself and now a wildfire threatening to destroy the town, it's getting fairer and fairer to ask whether the town is just cursed? This one's going to be harder to answer in this game and it may be a question that perhaps Dontnod will be able to address in a future game. Is Arcadia Bay just a general disaster area? Is there a history of major natural disasters in the area? Is there a history of unexplained phenomena? It would be a bit overboard to assume there's a straight-up "curse," but there is definitely something to Arcadia Bay and its denizens. 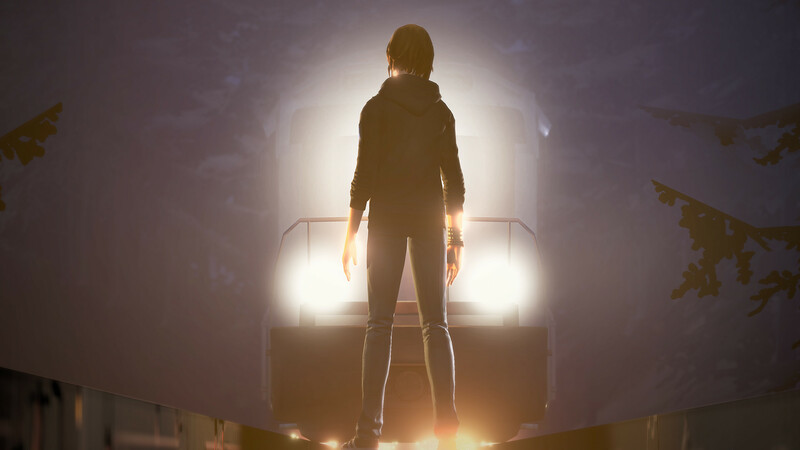 Remember in the original game that janitor Samuel sensed a spiritual force around Max and also referred to the missing Rachel as a "prism" of positive and negative forces. With the spirits connected so strongly to certain townspeople, it stands to reason that if one goes off the rails, it would threaten the entire town. Rachel's fury has the potential to burn down all of Arcadia Bay, just like Max's tampering with the nature of time threatens to wipe everything out via tornado. 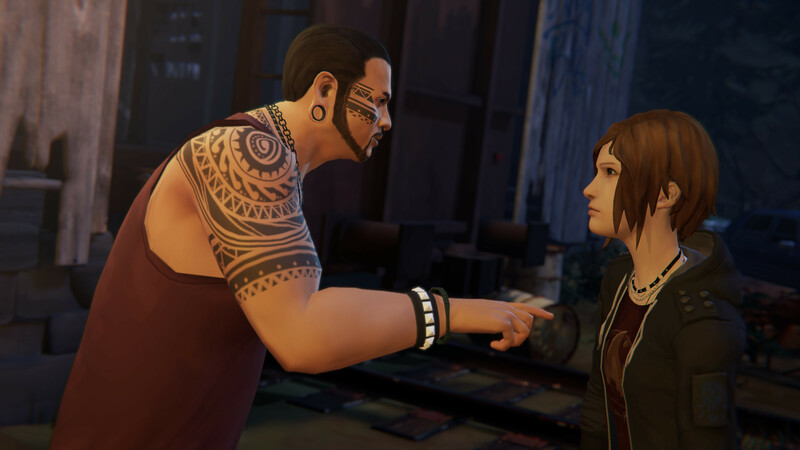 Life is Strange: Before the Storm Episode 2: Brave New World is set to release on PC, Xbox One, and PlayStation 4 this Thursday, October 19. I am assuming spoilers in this article? Somehow I keep forgetting about the Life Is Strange prequel; too focused on my backlog. I hope it's selling well for them though and I do intend to buy it! I wonder if there will ever be a physical release?